Sticky dinosaurs creates a lot of fun among the children. Fling this sticky dinosaur around and watch how it sticks to everything in its wake. 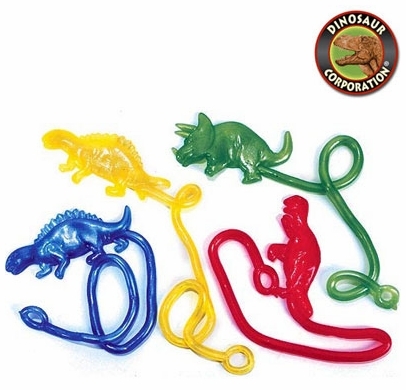 Place these fun dinosaurs T-rex, Triceratops, Brachiosaurus and Spinosaurus in dinosaur goodie bags. * 4 dinosaurs per pack.